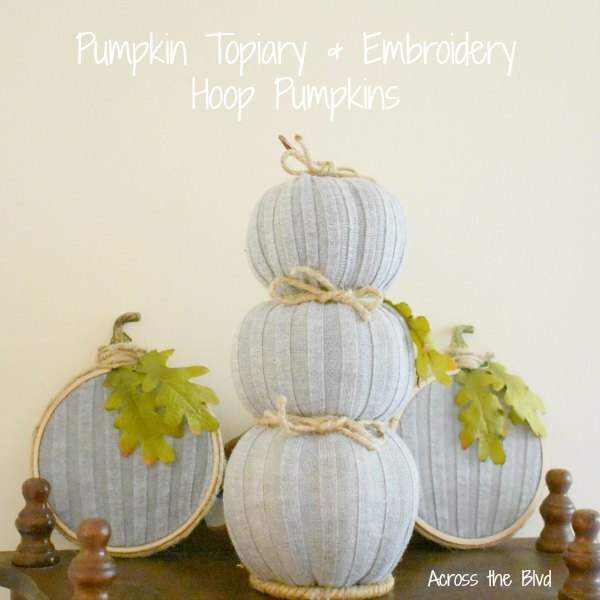 Make a pumpkin topiary with matching embroidery hoop pumpkins for your fall decor! 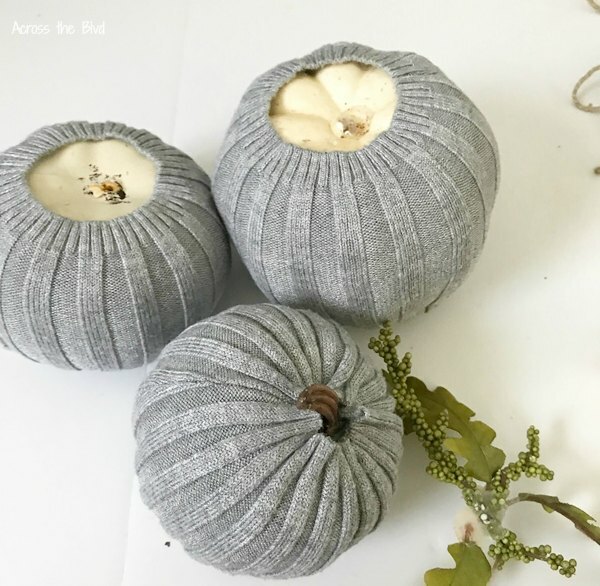 These are easy to make using an old sweater and some dollar store pumpkins. 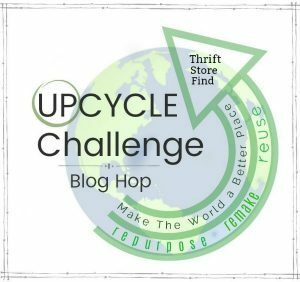 Today, we’ve joined a group of bloggers for our monthly challenge. This month, it’s an upcycled project made from fabric. 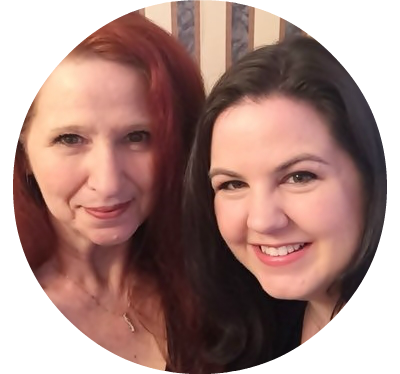 This is always a fun challenge to participate in and it’s wonderful to see the creativity of others. 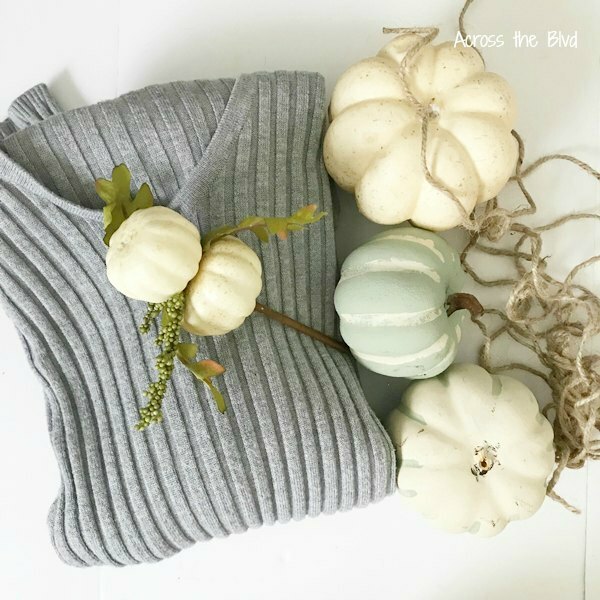 I used the sleeves for these pumpkins and saved most of the sweater for another project. 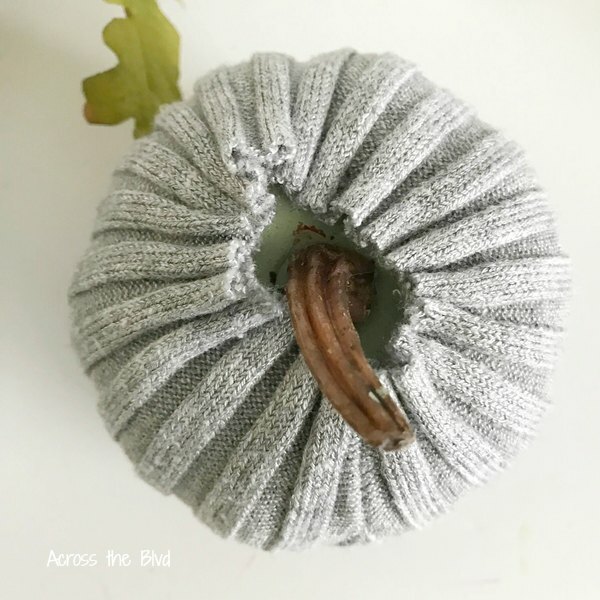 Leave the stem of the top pumpkin in place and pull the fabric close around it and hot glue it in place. Add twine between each pumpkin and tie it off into a simple bow. I had a little trouble keeping the topiary from tilting. To solve the tilting problem, I searched through my craft stash and found a twine wrapped hoop that I purchased last year at the Dollar Tree. 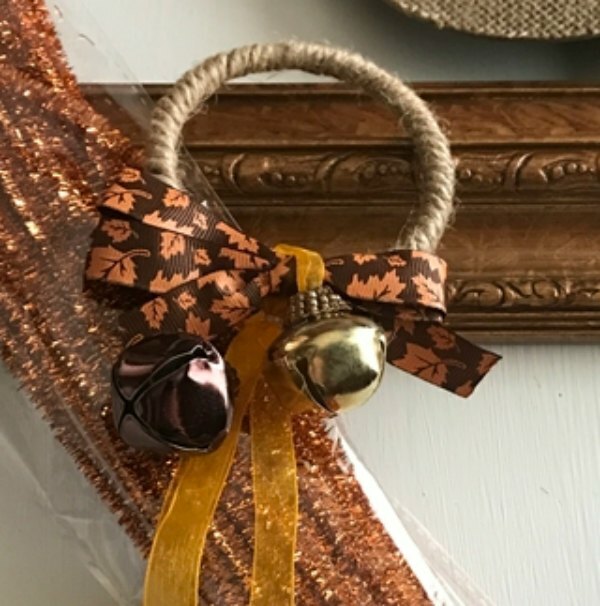 I used one of them on a Fall Floral Frame Wreath last year. I removed the ribbon and bells and was left with the twine wrapped hoop. It was just the right size for the pumpkin topiary. It’s hot glued to the bottom pumpkin. 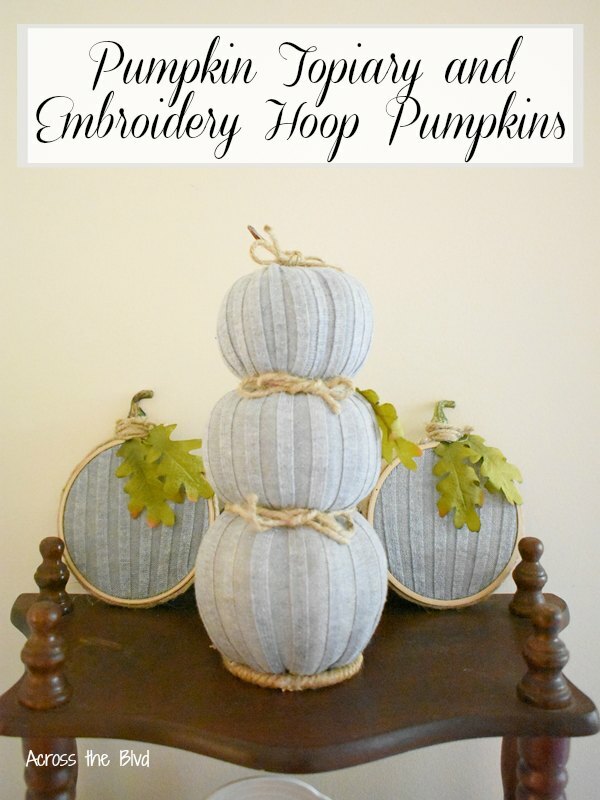 Making the matching embroidery hoop pumpkins was quick and easy. 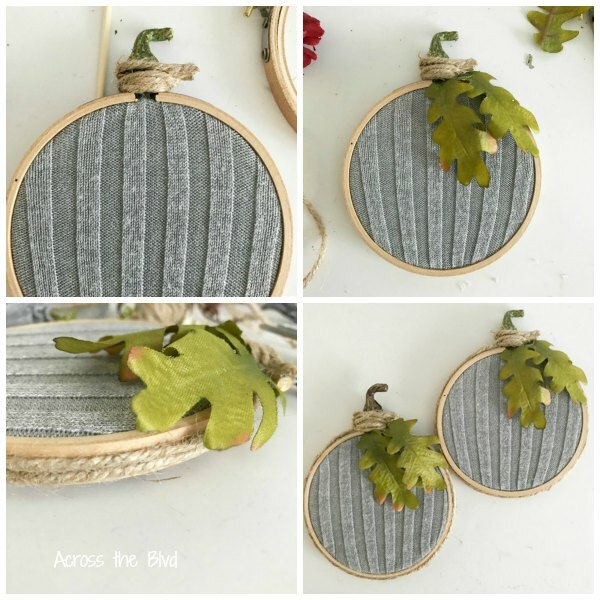 Embellish the hoops to resemble pumpkins by adding leaves near the stem. To give it a more finished look, wrap two pieces of twine around the outside of the hoops. Hot glue it in place. I’m happy with how these turned out! Using an old sweater, dollar store pumpkins that I already had and other items on hand kept the new cost at zero! That’s always great! What’s your latest upcycled project? I hope you’ll visit the links below for more Upcycled Projects Using Fabric! This look is so adorable, Beverly, and perfect for Fall! I love how snug the sweater sleeves fit the pumpkins! What a great idea! Thanks, Gail! I enjoyed making these and they were so simple, too. OMG Beverly, I adore the pumpkin topiary! Genius using the sweater. Next time i’m at Goodwill, Im going to hunt out an orange sweater. Pinned for mu to do list! 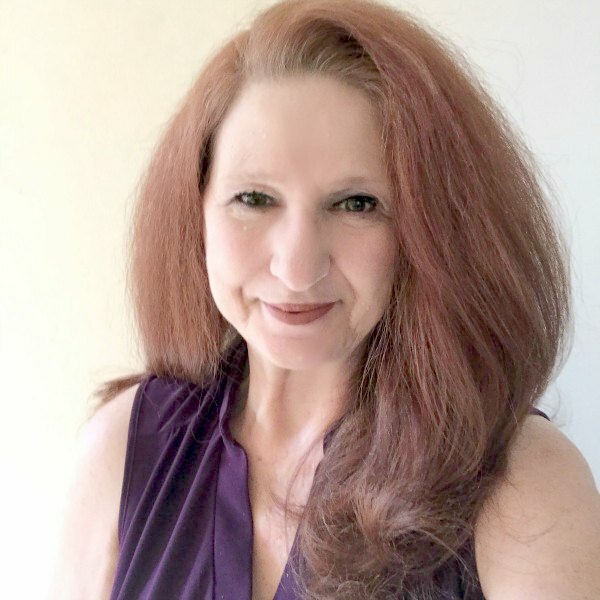 Thank you, Debbee! The great thing about making these small and using the sleeves is that I have plenty of fabric left for another project that I’ll be sharing soon. Glad to have given you an idea! Thanks so much for pinning. Projects that cost nothing are my favorite. This topiary is very pretty. 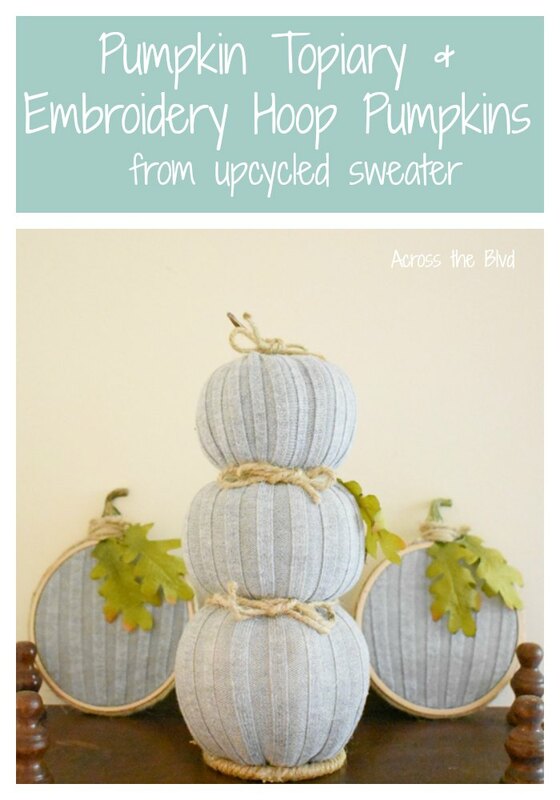 The sweater materiAl was a great idea, the pumpkins & hoops look so warm anD cozy. Mine too, Jenny! This was the sweater that kept on giving. I used it for the topiary, the hoops, and another project, too. Thank you! Thanks, Laura! 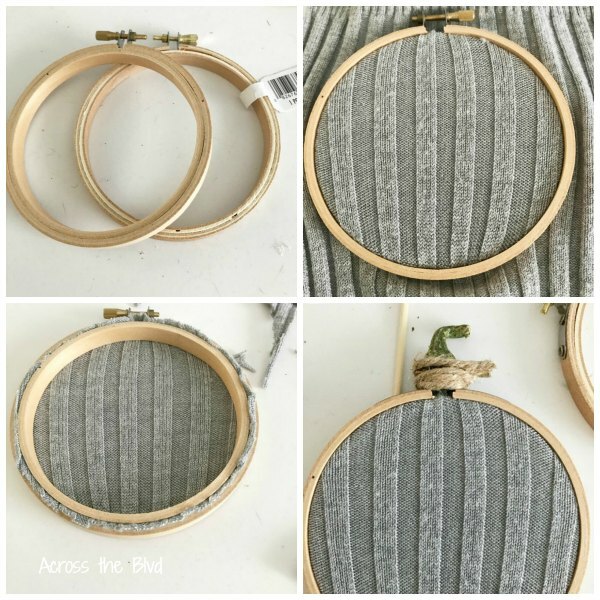 Embroidery Hoops are such great crafting items. I can’t embroider at all, but I have a bunch of hoops in my stash, too. Beverly, Great use of an old sweater! 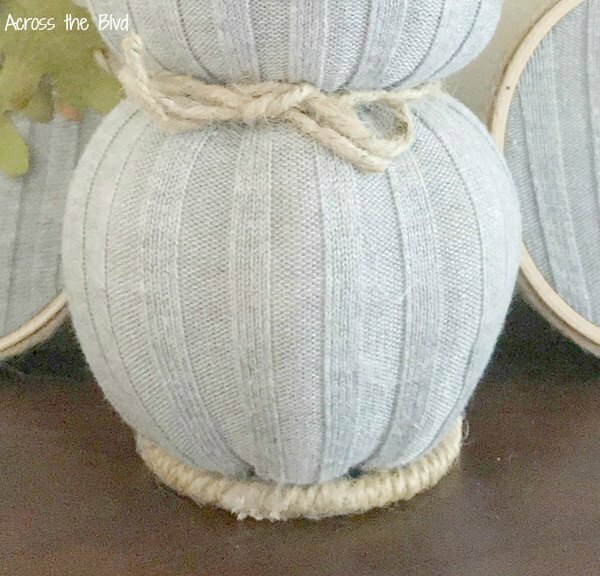 I love the color combo with the grey and the natural color of the twine, so pretty! The hoop pumpkins are adorable too! Great idea to use the twine wrapped hoop to keep our topiary standing straight. Pinning! Thanks, Laurie! I was happy with how these turned out. 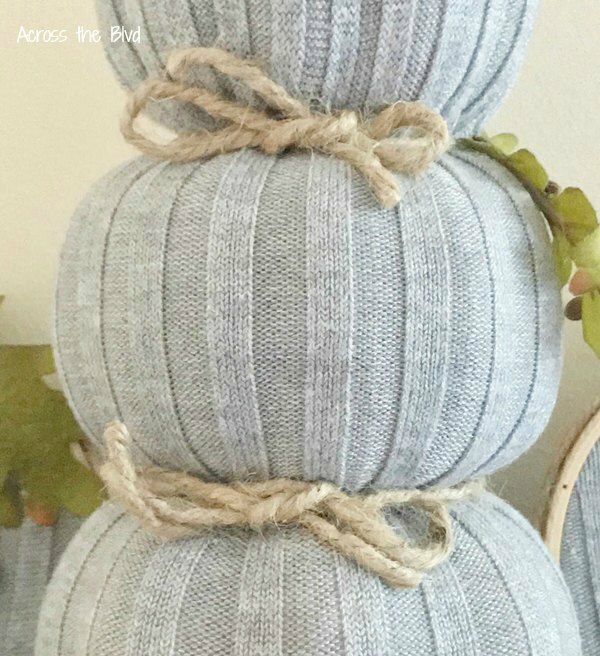 Having that twine wrapped loop in my craft stash was great because otherwise, the pumpkin topiary would have been topsy turvy. 🙂 Thanks for pinning! Absolutely CRUSHING on this project. Thanks! I love when an idea turns out just the way I envisioned! Hi Beverly, oh I love this fall craft with the pumpkin topiary and the embroidery hoop. You did a great job and thanks for sharing this at Cooking and Crafting with J & J. Thanks, Julie! These were fun to put together. Thanks for the party! The topiary is amazing, and I Love the embroidery hoops! I love the the green leaves, and the color of the fabric. Gorgeous! Pinning! Thanks, T’onna! I appreciate the pin. These were fun to put together. This is a really fun idea! I never would have thought to use the sleeves. Genius! Pinning. Love this idea, and would love to be able to shop for the perfect sweater to save at my local thrift store. Thanks, Alexandra! The sleeves were more than enough to do all of these and I had more fabric left over for another project. Thanks for pinning! They look so classy, you’d never know they cost next to nothing to make! I especially love the hoops, so simple but just perfect. Thank you, Julie. 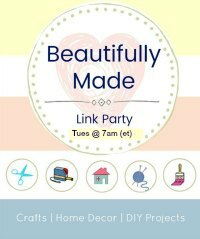 I love finding ways to make budget friendly projects like these. Such a cute idea! I love the color and texture that the sweater adds to your topiary. Pinned. Thank you, Joanne! I was glad to have found a way to use that old sweater. Thanks for pinning! This was one of my featured favorites from the Hello Fall party! Thanks so much, Joanne! I appreciate it! What a great idea! Love the hoops! Thanks, Dee. I like the hoops a lot, too. They were super easy to make.